Evidence abounds we are entering Spring as the snow is beginning to recede from the RMC grounds. The days are longer and there is a shorter path in time to the graduation parade. 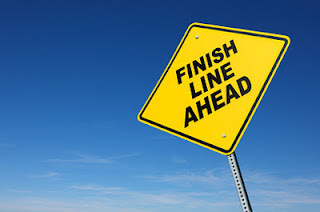 For the Fourth Year Cadets, that proverbial finish line is just a few strides away. For the First Year Cadets, your first Spring at RMC is yet another milestone on what will be an epic journey both at and beyond RMC. Exams and the final physical training test will be followed by an array of parade practices, administrative planning, and other prep work in advance to summer training. Alexander declared that “Hope springs eternal,” which for Cadets could reflect the continued hope for success as a future leader in the Canadian Forces. By now, whether a First Year or Fourth Year cadet, you recognize the transformation you have undergone is eternal. Living a life of service to your nation as an officer is not without sacrifice. Your duties will at times pull you away from your family and friends and place you squarely in environments potentially far more hostile than this year’s seemingly long winter. For over 100 years, the College has seen many Springs sprung and with it an equal number of great leaders who answered the call to serve, to face personal and professional challenges with valour. Like the protective layer of snow that covered what lay beneath it, you too are covered by the esprit of the College whose cadence beats season after season in making new leaders better than they were before. Dig in and push your way through the frozen ground and reap the benefits from your continued investment in YOU. We ex-Cadets are rooting for you.